On the 40th anniversary of Iran’s Islamic Revolution, Hezbollah Secretary General delivered a speech, in which he hailed the great achievements Iran has made since the revolution. The Hezbollah chief said that Shah provided oil to Israel free of charge, adding that Iran’s former regime served the American interests in the region. He also described Imam Khomeini as one of the top clerics in Iran who started the Islamic Revolution in 1960s. He said that Shah’s regime was destroying agriculture in Iran, adding that Imam Khomeini led the Islamic revolution against poverty caused by regime of Shah. 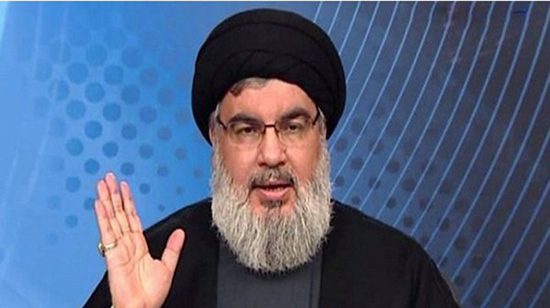 The Hezbollah leader went on to added that Iranians from all walks of life participated in the Islamic Revolution, describing toppling the shah regime which was the worst dictatorship as a great achievement. He further described forcing US Israel to leave Iran as one of the achievement of the Islamic Revolution.